Popular American-born Nigerian recording artist, performer and record producer David Adedeji Adeleke better known by his stage name Davido, was born on November 21, 1992. Davido was born in Atlanta, Georgia in 1992, to a business magnate father Chief Deji and a university lecturer mother late Vero Adeleke. The young artist is related to Isiaka Adeleke who was the first civilian Governor of Osun State, a former two-time Nigerian senator who represented the People’s Democratic Party (PDP) in Osun State from 2007 to 2011 and until his death in 2017, he served again under the political banner of the All Progressives Congress (APC) in 2015. His uncle Demola Adeleke is the current Senator-Elect representing Osun-west senatorial district in Nigeria. He relocated to Lagos with his parents at a very tender age and acquired his early primary education at the British International School located in Lagos. After his secondary education, he got admission to study Business Administration at Oakwood University but had to drop out because of bad grades. Davido achieved one significant thing in Oakwood – his interest in music. After dropping out of Oakwood, he relocated to London where he developed his vocals some more. He started off by acquiring some musical instruments and making beats as well as recording vocal references. Upon his return to Nigeria, he agreed to his father’s persuasion and enrolled in Babcock University where he bagged a degree in music. To promote the album, Davido released the music videos for “Ekuro, “Gbon Gbo”, and “Feel Alright”. His rise to stardom, however, came after the release of his second single ‘Dami Duro’ which was a massive hit and gave him the right fan base he needed to rise and making him one of the most loved Nigerian Afro-pop singer. Davido has also released singles “Gobe”, “One of a Kind”, “Skelewu”, “Aye”, “Tchelete (Goodlife)”, “Naughty” and “Owo Ni Koko” among others. Early in 2013, he began recording his second studio album, and on February 25, 2013, he released “Gobe” produced by Shizzi as the upcoming album’s lead single. “Gobe” was quickly followed by the second and third singles – “One of a Kind” and “Skelewu” respectively. The fourth single from the album “Aye” produced by T Spice was released on February 2, 2014, while the video was released few days after as directed by Clarence Peters. Later on by April 30, 2014, Davido’s HKN Music released the upcoming album’s fifth single “Tchelete (Goodlife)” featuring South African duo Mafikizolo. Davido revealed his plans of collaborating with American rappers Rick Ross and Meek Mill and in June 2015, he dropped the long-awaited collaboration with Meek Mill titled “Fans Mi”. In an announcement he made on Twitter in 2016 which was met with mixed reactions, Davido revealed that he signed a record deal with Sony BMG. Within a short time of his music career, Davido has received a total of 29 awards from 74 nominations. His awards include BET Award, a Kora Award, a Channel O Music Video Award a Ghana Music Award, a Nigeria Music Video Award, 2 MTV Africa Music Awards, 2 African Muzik Magazine Awards, 5 The headies Awards, 7 Nigeria Entertainment Awards and 2 Dynamix All Youth Awards. Davido reportedly signed a 30million naira endorsement deal with MTN on April 6, 2012. Thus, he was unveiled as the face of MTN Pulse, a marketing campaign for one of the telecom network tariff plans targetted at Nigerian youths. On October 24, 2013, it was reported that Guinness Nigeria signed Davido to an endorsement deal, after which he performed at the Guinness World of More Concert alongside other popular artists. 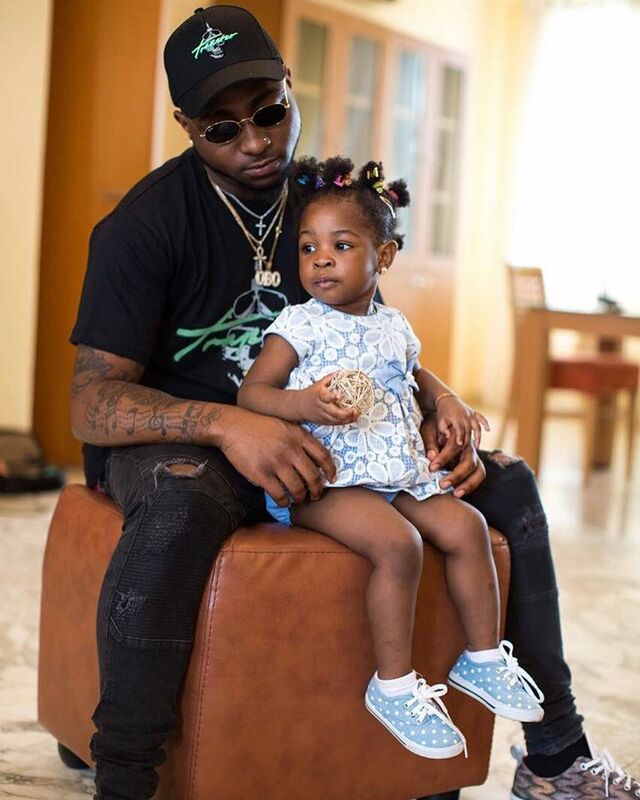 Though still single, Davido has a daughter Imade Adeleke with his baby mama Sophia Momodu, the cousin of veteran journalist turned politician, Dele Momodu. The birth of Imade was a very trying time for both Davido and Sophie. The situation was made worse by the many negative and inciting reports about the paternity of the child and the fact that Sophie is older than Davido. His second daughter Hailey Veronica Adeleke was had by his American girlfriend, Amanda, in May 2017. He was the first graduate from the department music in Babcock University, Ilishan Remo – Ogun state. He signed Mayorkun and Dremo to his self-owned record label (DMW). Davido signed an endorsement deal with MTN Nigeria and has partnered with Guinness Nigeria for the “Guinness World of More” concert. Davido’s mother, Veronica Adeleke died in March 2003 when he was just age 10. Davido’s is said to have an estimated net worth of $14 million. In May 2017, he was listed on Forbes Africa Magazine as among Africa’s Top 10 Bankable artists.